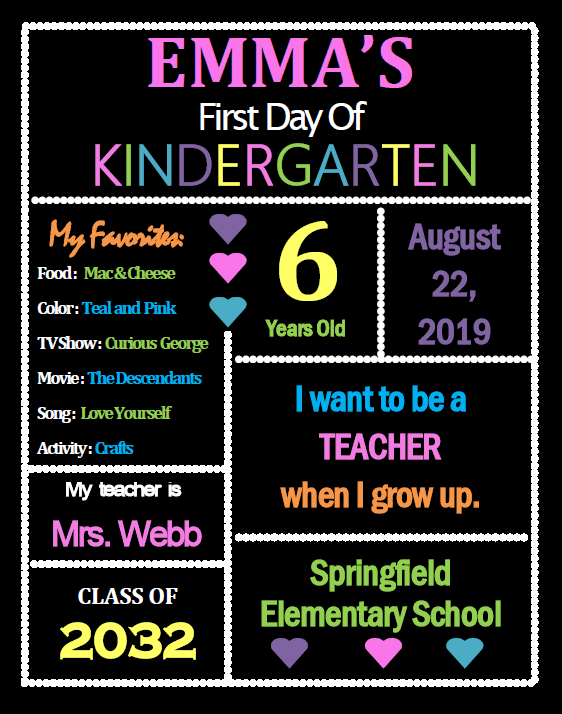 Below is our fully customizable First Day of Kindergarten sign. This is available as a word doc, so that you can easily change the text. We recommend taking these to somewhere like Staples or Office Max and having them printed on card stock or poster paper.